In perhaps one of the only legitimate beefs in the so-called “war on Christmas” it appears the good guys actually won one. Malls across the country have attempted to capitalize on the Santa business by installing what they call “the Santa adventure” and charging parents fees from $35 to $50 just to get their children in to see Santa Claus. In the most high profile of these cases Cherry Hill Mall near Philadelphia famous imposed the charges and then faced a brutal customer backlash that went viral on social media. The mall has since made Santa a free attraction, as he has been in the past. The backdrop to all the Santa controversy comes courtesy of Dream Works who launched an enhanced Santa attraction described as a first-of-its-kind holiday experience that features Shrek, Santa and interactive storytelling with cutting-edge technology. Shrek and friends take families on an enchanting journey to the North Pole. Five captivating rooms within the Adventure to Santa experience keep families engaged and entertained, including a cinematic adventure featuring a wrap-around screen and motion-based effects sure to excite guests of all ages. Once families complete the activities in each room, Adventure to Santa culminates in a special moment where children and their families enjoy a private visit with Santa. Dream Works and malls featuring the service have been providing touring school groups with free access in order to build buzz and goodwill about the attraction. The problem comes when a mall allows Dream Works to control access to Santa — where seeing him requires an online reservation, a process that in turn requires the purchase of a photo package at a cost between $35 and $50. Will the Dream Works attraction catch hold? Will parents actually pay $35 to give their children what amounts to a commercial experience with Santa Claus? 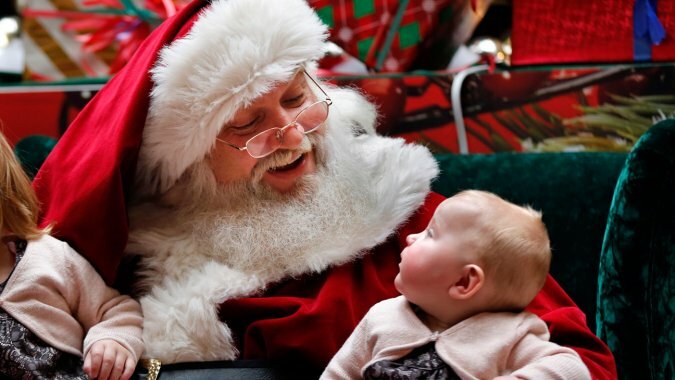 What appears to be settled is that malls will continue to offer free access to Santa for those parents who can do without “the experience” or the cost. THEY AIN’T GOT NOTHING ON HOBBY LOBBY. IF YOU NOTICED, THEY HAVE CHRISTMAS DECORATIONS OUT? OUR PRODUCER, FRANK, SNAPPED THIS PICTURE OVER THE WEEKEND AT THE STAFFORD STORE PUTTING OUT THEIR HOLIDAY GARB, AND WOODLANDS HOBBY LOBBY HAD FALL AND CHRISTMAS DECORATIONS OUT BACK ON MAY 29th, SO IT’S STARTING EARLIER THAN EVER. Memo to the media: it’s not starting earlier than ever. It has ALWAYS been done this way. This isn’t news and it is not anything to be alarmed about. Christmas is coming, yes, but the world is not going to end. Go back covering the elections that do not happen for another 18 months. It’s a holiday tradition — er….a Christmas tradition! The American Family Association has published their annual “naughty and nice list” of retailers who won’t use the word Christmas in their advertising or public relations efforts. The big offender this year: Petsmart, a perennial abuser of the holiday versus Christmas tug of war. 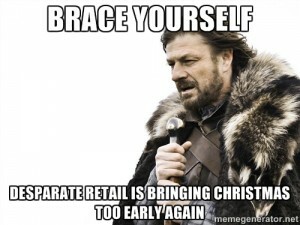 When it comes to Christmas retailers just can’t win. Those brave enough to advertise early have to endure charges of Christmas creep. While those who don’t use the word Christmas get labeled for being politically correct or anti-Christian. This year’s list appears to be similar to the list the AFA has published for years now. Barnes & Noble, Limited Brands, Office Depot — these are the same folks always on this list. But does the lack of use of the word Christmas make them anti-Christmas? Really? And what about the word holiday. Does using that word constitute an absence of acknowledgement of sacred days of observance? And what of those who do liberally make use of the word Christmas in their ads? Can we rightfully say, as the AFA claims, that these companies “celebrate” Christmas? What part of putting the word “Christmas” in an ad is acknowledging the sacred OR secular celebration of Christmas? We ask these questions not because we don’t support use of the word Christmas. We just think it is continued absurdity to define Christmas so narrowly. The AFA has been at this for years. And while the list of who is naught and who is nice has most decidedly changed — with more moving to the nice list as the AFA has harped on this issue over the years — has it really affected any kind of change? Has it been helpful in the “war on Christmas”? 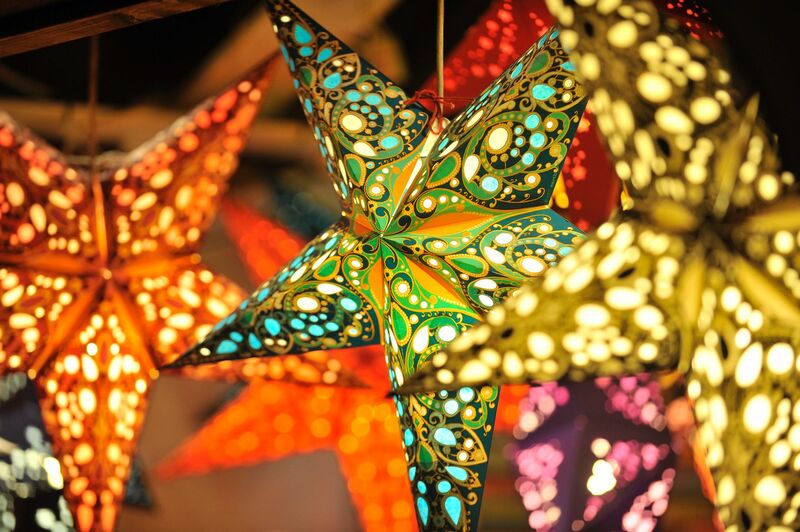 Has the embracing of Christmas helped those companies who are nice to be successful? 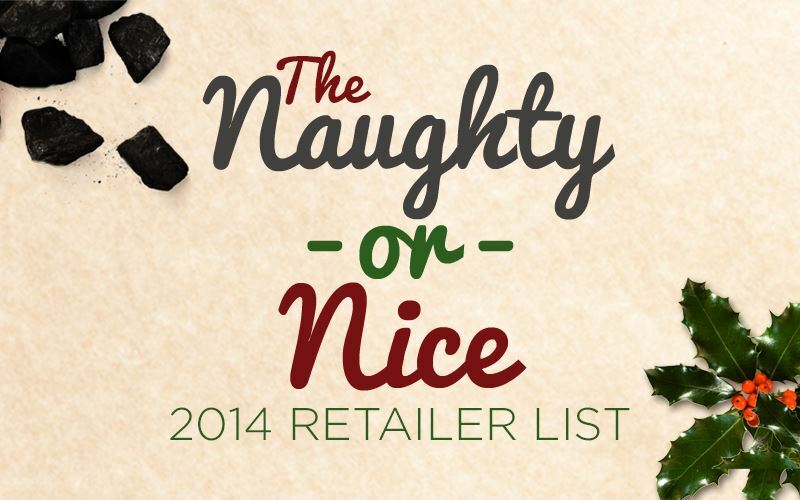 Has being on the naughty list adversely affected those who are on it? The answers to these questions, of course, is no. The AFA is not promoting the “peace and goodwill” that is Christmas. They continue to be harsh voices in the “war on Christmas” by focusing on the wrong things. They should be promoting the real messages of Christmas: charity, goodwill, peace and understanding. They appear to be doing just the opposite of that. Christmas gets blamed for a lot of stuff. But this is a new one. 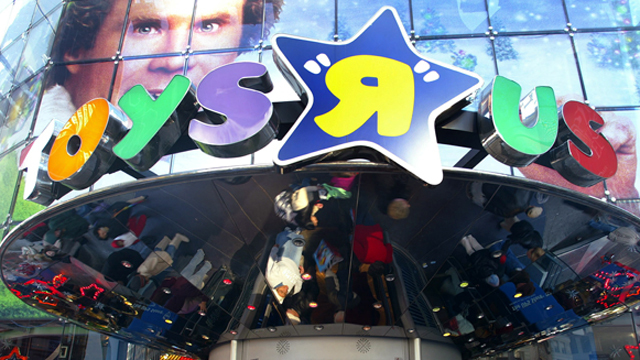 Toys R Us sells more at Christmas than any other time of the year. Every fall they get new merchandise they think will sell during the season. 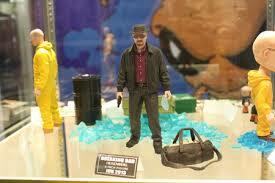 This year they got action figures based on the hit show Breaking Bad. The problem? A character in the show is a drug dealer, he has an action figure and he’s accessorized with guns, a bag of cash and some of his signature mix of meth. One reader of Defend Christmas made the giant leap that Christmas is now responsible for glamorizing drug use to children. Well, everybody can relax now. Toy R Us pulled the toy and Christmas is now, once again, safe for kids. The whole hubbub began by parents protesting via a Change.org online petition for Toys R Us to remove the ill-conceived toy. (Believe it or not, the toy industry makes this kind of mistake all the time). After more than 8000 signatures Toys R Us got the hint. At first, Toys R Us claimed that the dolls were in the adult action figure section of the store, and would only be sold to children ages 15 and older. Apparently, there are adults who buy action figures. Apparently, 15 year olds are adults. But then, looking at a potential loss of sales, Toys R Us caved and took the figures off the shelf entirely. Those who disagree with this Florida Mom can still buy the figures on Amazon and other online sites not affiliated with Toys R Us. So people can still buy their drug dolls and blame Christmas for it. Black Friday is dead and everyone knows it. The fact that holiday shopping “door-buster” sales now kick off Thanksgiving morning is not exactly tradition — and retailers may never give it time to become such. The truth is that Black Friday is now really Black November — a full month or more of serious price promotions to kick start holiday shopping. This is the real menace of retail people are talking about. 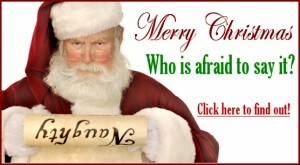 This is the real Christmas creep. And it is about to become a part of the conversation in the so-called War on Christmas. Late-night, early morning and even 24-hour shopping have become so common that many retailers believe they must stay open nearly all the time to keep up with their competitors, reports Richard Feinberg, Purdue professor of retail management. 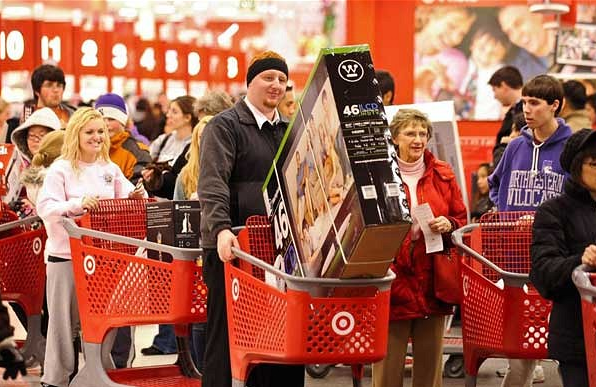 Black Friday backed further into Thanksgiving in 2013, as stores including Target, Younkers, Sears and J.C. Penney opened at 8 p.m. Thursday, and others even earlier. 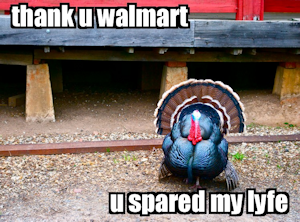 Walmart, open 24 hours, released Black Friday deals at 6 p.m. and 8 p.m. on Thanksgiving, and sold some Black Friday merchandise as early as Nov. 1. 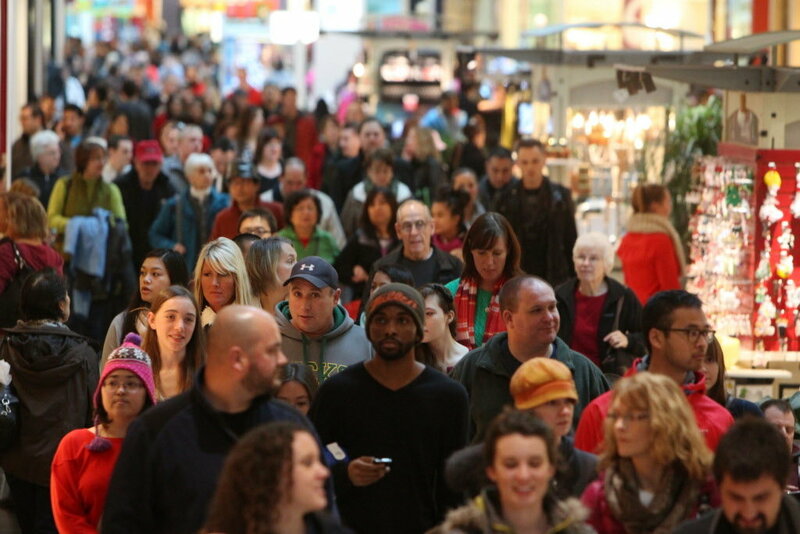 For stores that were open, shoppers followed, with 45 million people shopping online or in stores on Thanksgiving 2013, according to the National Retail Federation. That’s up from 35 million in 2012 and 29 million in 2011. The sad truth despite these facts? 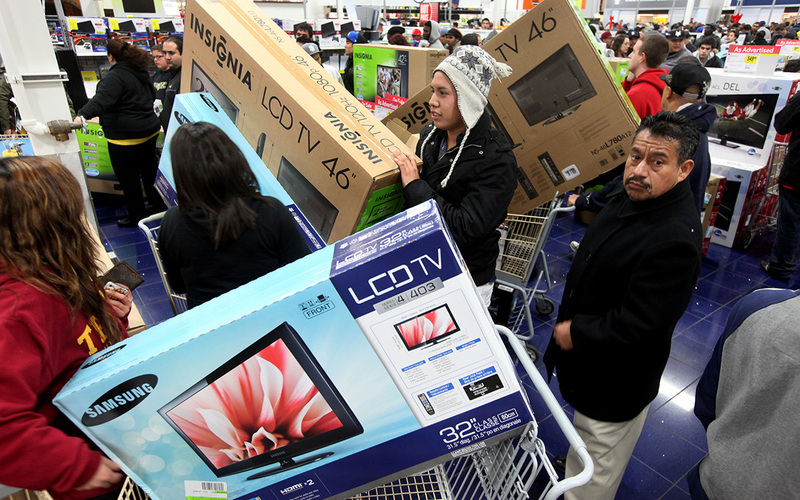 Sales were DOWN for what is called “Black Friday” — by 2.9 percent. The other sad truth is that many people protest now the presence of Christmas-themed shopping on Thanksgiving Day. Workers threaten to strike, campaigns to boycott retailers on Thanksgiving are launched and editorials run amok with anti-Christmas rhetoric. It isn’t so much about Christmas, really. But Christmas gets blamed for creating the frenzy and urging retailers to “sell, sell, sell” in an effort to generate more revenue than they did the year before. The American Family Association — a name as familiar in the War on the War on Christmas as the Freedom from Religion Foundation — really doesn’t want you to shop at The Gap or any of the stores associated with them (Banana Republic, Old Navy, etc). Their crime? Shunning the word “Christmas”. Sure enough, a quick look at websites and ads by these stores reveals a liberal use of the word “holiday” and a seeming drought for the word “Christmas”. It is almost like they purposely have scrub all reference to Christmas from everything associated with them. For this the AFA doesn’t want you buying any of your Christmas presents from The Gap. The boycott does not appear to be affecting things much at The Gap. They recently announced encouraging results for the 3rd Quarter. And while exact Black Friday results have not yet been shared all faces are smiling at Gap offices in San Francisco (offices that are not, by the way, decorated for Christmas). So what does this all mean? Does it mean the Gap can lower their expectations for the 4th quarter because their “holiday” sales will lag because of a boycott? Or does it mean the American Family Association is becoming less and less relevant as a focus on Christmas? The American Family Association is one of the regular agitators in the so-called War on Christmas. Give them a media microphone or a television news camera and they will expound on the War on Christmas like it is a Hamas rocket shower on Israel. They will stir the hearts of Christmas purists while at the same time profiting from their passion by selling them yard signs, bumper stickers and t-shirts that say “It’s OK to say Merry Christmas”. We are bigger believers in letting the market-place decide. Christmas is not what the AFA or The Gap defines it. It is what the Christmas celebrant defines it. If the Gap is not Christmasy enough for the average Christmas shopper, guess what? They won’t go there. But as long as the AFA continues to promote themselves from one position of extreme they will continue to make everything else good that they stand for seem a bit more ridiculous. America has bigger problems to solve beyond a contrived war on Christmas. Feuds of Christmas displayed on public grounds is one thing. But to complain about a bank not decorating for Christmas? Is that really a problem? To some Canadians, it is. Customers of a bank called RBC Financial Services are complaining that bank personnel claim it is against company policy this year to decorate for Christmas. A multi-branch check of the situation reveals that yes, indeed, RBC is not decorating for Christmas this year and employees state is it is company policy not to do so. They don’t want to offend anyone. A company’s avoidance of “Christmas” isn’t a new thing. In fact, for years in the United States lists have been kept of companies that refuse to use the word “Christmas” in their seasonal advertising, who won’t allow their employees to say “Merry Christmas” or who just don’t decorate at all during the season. But rarely have we seen these types of reports coming from Canada. As for the bank they say it is all a misunderstanding about a directive to keep holiday decorations tasteful. We’re not sure how the leap is made from “keep it tasteful” to “keep it non-existent”. And we’re not sure, frankly, just how important it is that a bank decorate for Christmas in the first place. In the grand scheme of things it doesn’t appear to be that important. However, by flat out refusing to decorate and to have that policy forwarded by bank representatives to the public, well, that’s another thing altogether. That IS offensive. After all, if hearts can be plastered on the windows at Valentine’s Day why can’t there be a tree in the lobby? Banks sure process a lot of money during the Christmas season. It would seem prudent to keep that part of the business from being offended. In the land of Bronners and a history of epic fights in the war on Christmas Michigan is back in the news on the War on Christmas with a controversy brewing over…a fake Christmas tree? An upscale Detroit suburb (is there such a place anymore?) spent $30,000 on a new artificial tree festively decorated with more than 20,000 lights. And it is all fake, causing residents and merchants to grumble in social media and to city officials. 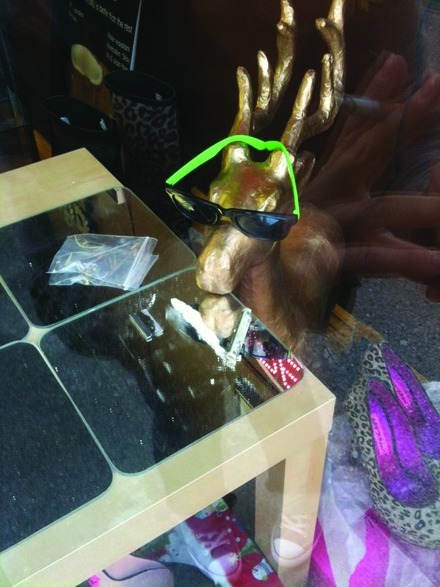 A shop named Steve Johns Shoes Limited has displayed a controversial Christmas advertisement in which a reindeer appears to be taking drugs in the form of white powder. This has sparked a dispute in the city about whether the advertisement is promoting drugs. The store is located on Bernard Avenue with storefront windows saying â€œho ho ho, let it blow.â€ In addition to the white powder on the table, there also appears to be a razor blade as well as a rolled up dollar bill. In the interior, a Christmas tree is decorated with bags of white powder on its branches. Residents in the city have been infuriated and have stated that it is very inappropriate. When Paul Barrett, a pedestrian walking down Bernard Avenue saw the storeâ€™s advertisement, he took pictures of the display. â€œIt was kind of appalling,â€ Barrett said. 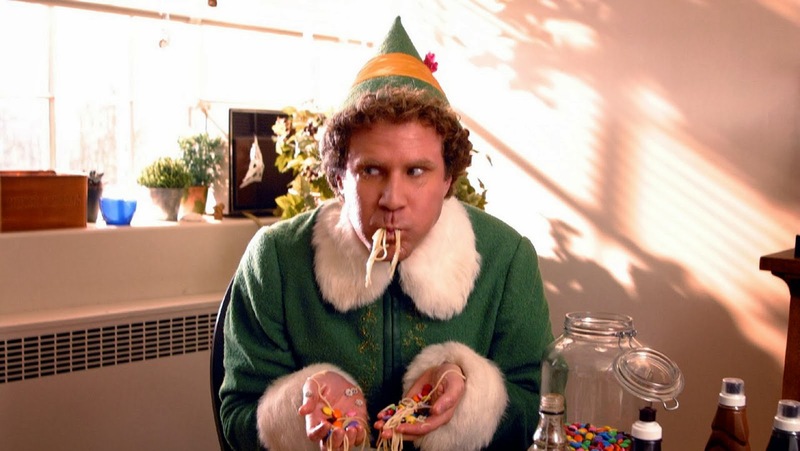 â€œIt was basically set up with what looks like cocaine hanging from baggies in a Christmas tree,â€ said Paul. â€œOther than the Christmas tree, it has got nothing to do with Christmas. I looked for signs to see if maybe it had some kind of message against drugs and I did not see that. It was more for drugs and about how you do these drugs and I was quite appalled, I do not know what it is advertising but it is certainly not advertising shoes, there are kids that are walking by this. It is a very low window. It is saying basically, this is what you need to do cocaine,â€ Paul continued.